Police seized as many as 1,063 illegal firearms in 13 days of raids at volatile districts of south Bengal. The fact is all political parties resorted to violence in Bengal for intimidating its opposition and party offices serve as den of weapons. So, opposition offices are now the target of bomb attacks. Incidentally, the first thing that Trinamool did after coming to power in 2011 after toppling the 34-year-old Left Front government was to raid CPI-M party offices and recover illegally-stocked weapons. What is striking, the old-timers say, political parties or factions until now never targeted each other’s offices with powerful quarry-blasting dynamites or socket bombs with ammonium nitrate, generally used by terrorist outfits. The use of powerful explosives has made the people vulnerable, which was something unheard of until now. 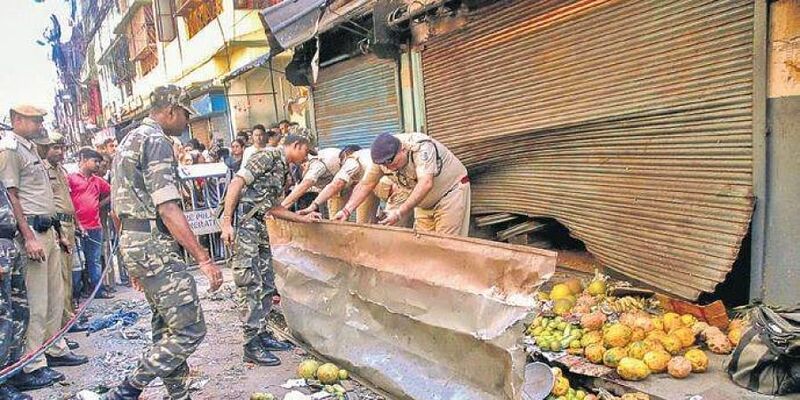 The death of a boy in the Nagerbazar blast burst the bubble that such attacks are restricted to politically active individuals. In this year’s panchayat elections, more than a dozen killings were reported and scores reported injured in the eastern state. It is for sure that BJP will rake-up the political violence in its poll campaign. What remains to be seen is how much blood will be spilled in the run up to the 2019 general election.